High quality gold plated copper non-tarnish wire, soft tempered, 12 gauge (2 mm), 5 ft (1.52 meters). 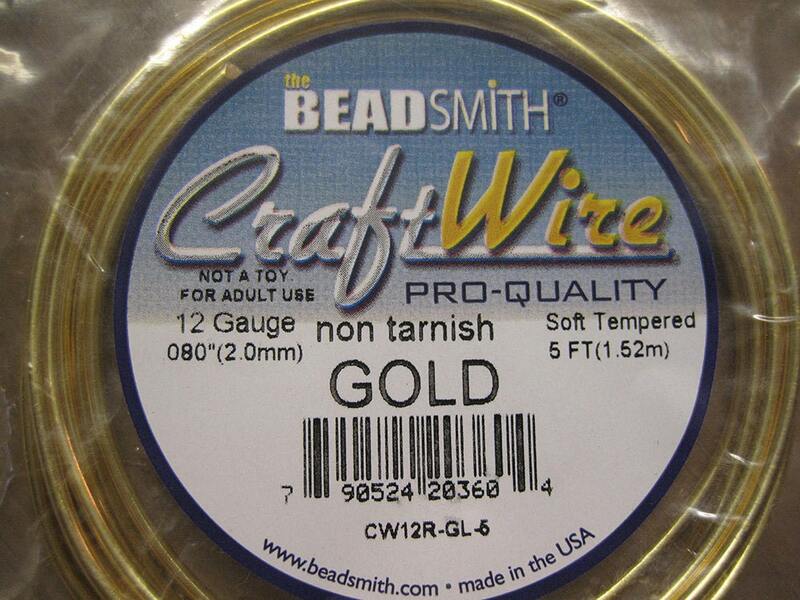 Made in USA by Beadsmith, professional quality craft wire! For all your jewelry, craft, beading, and other artistic projects!